It's just what the doctor ordered! 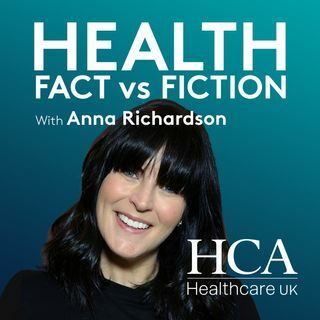 Health: Fact v Fiction is a frank and fascinating mix of myth-busting and chat about all things health. Join Anna Richardson as she brings together special celebrity guests and leading healthcare consultants. Their mission – to get to the heart of a different medical topic each episode, from the menopause and memory, to healthy guts, the BRCA gene and beyond.